It's cooling off a bit! Okay... not really. Maybe a degree or two. And that could even just be in my head. 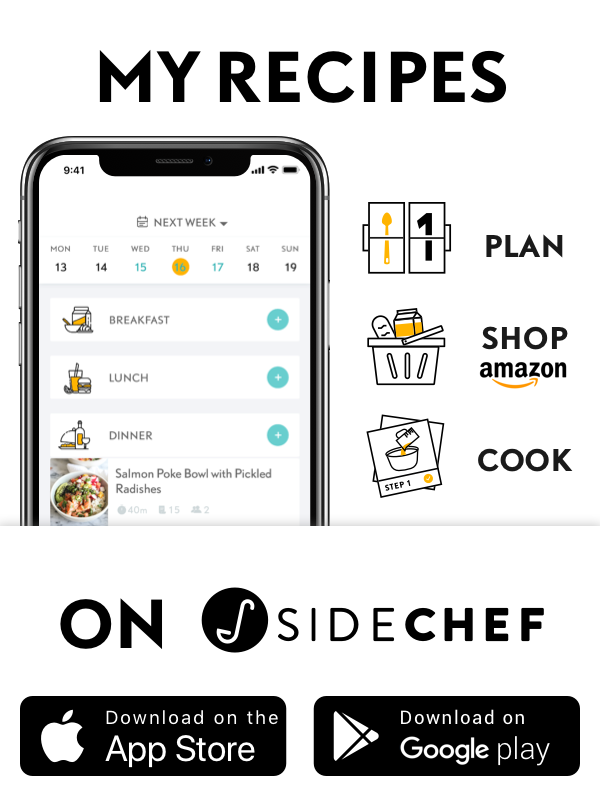 Even so, I wanted to continue indulging with fall-friendly recipes while keeping cool in these 99 degree days of early September. 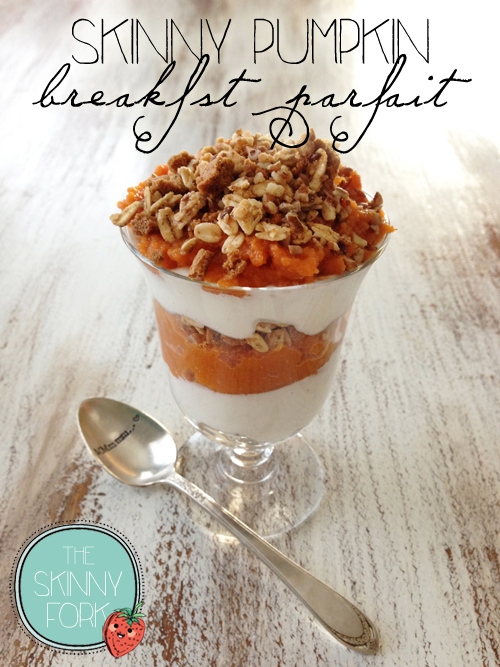 Enter the pumpkin breakfast parfait. This is a great beginning of fall breakfast. 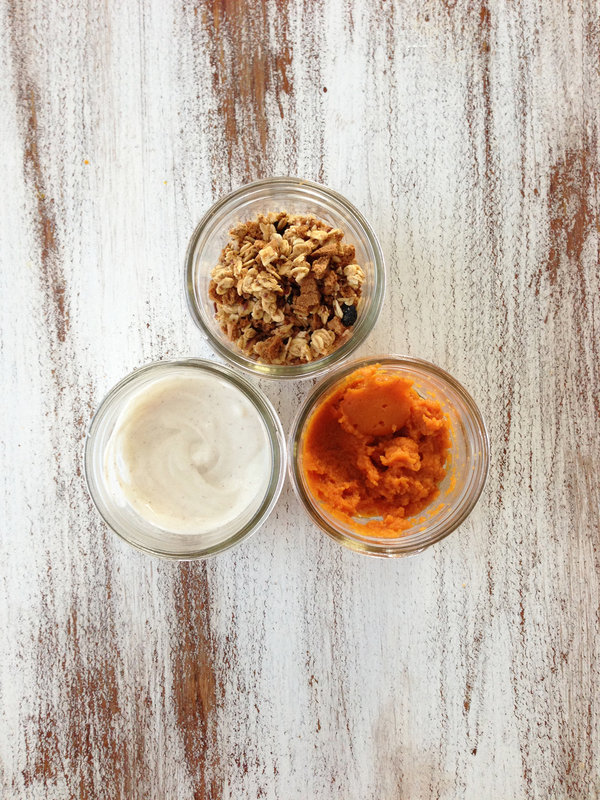 It's a simple parfait that is full of pumpkin, spice and everything nice... but won't raise your thermostat any further! A little bit of summer and a whole lot of fall. Combine the granola, pecans and crushed gingersnaps together until well blended. Mix the pumpkin puree with half of the pumpkin pie spice. And finally stir the vanilla yogurt and remaining pumpkin pie spice together. Layer the three mixtures together however you see fit.